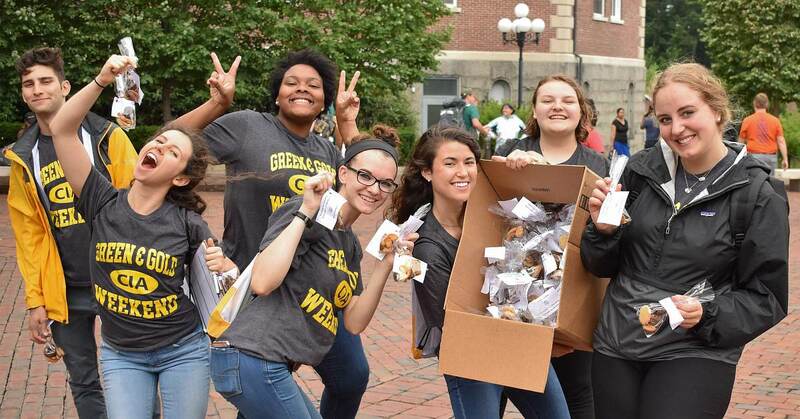 Being an Orientation Leader (OL) for CIA Green and Gold Weekend for two weekends in July gave me such a unique perspective. I was able to see how I must have been when I was an incoming student—nervous and full of questions! This time, though, I was the one who guided the new students, answered their endless questions, and gave them the peace of mind they needed in such an unfamiliar experience. It gave me a sense of joy and purpose to help them, just like my OL helped me when I was new. I wanted to be part of this moment and welcome my future classmates. I can’t help but remember what it was like for me when I first started only a year and a half ago. The immediate feeling of belonging is what really made the world of difference in my time here. 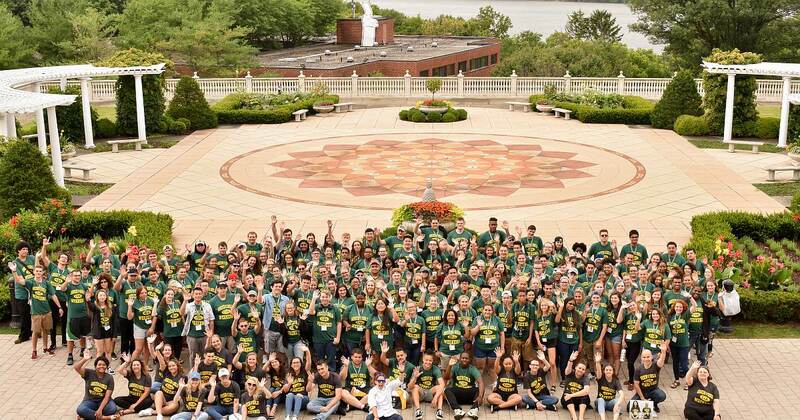 Having Orientation Leaders lets students know that even though they’re starting a new chapter of their lives, they’re not alone. The support system shown to them before enrolling is what helps students walk onto campus with confidence and peace of mind. The relationships I made on these two weekends have been so rewarding. My roommate and best friend Kira was an OL with me and I was happy to have her by my side. We got to tell others just how much we love being here and share all the things you can do to get involved. Because no matter what you’re interested in, there is always something to do on campus. It could be sports, volunteer work, competitions, or other fun activities. I was elated to see our group of new students checking out clubs they couldn’t wait to join and meeting chefs who would be teaching them just a couple of months later. Some of the students in our group even decided to become roommates! Building those friendships is such a vital part to adjusting to life in college. My groups of students reminded me of why I love what I do, and that a small gesture like volunteering can make a huge impact on someone’s life and their time at the CIA. A student from another group came up to me and mentioned that I had given her and her family a tour last year and it was one of the things that helped her know she wanted to come to the CIA. To know that I made such an impact on someone’s life was really humbling and only made me want to help more. Even though the event is over, my group and I all promised to keep in touch. We exchanged numbers so if they had any questions or needed any help, I was only a phone call away.